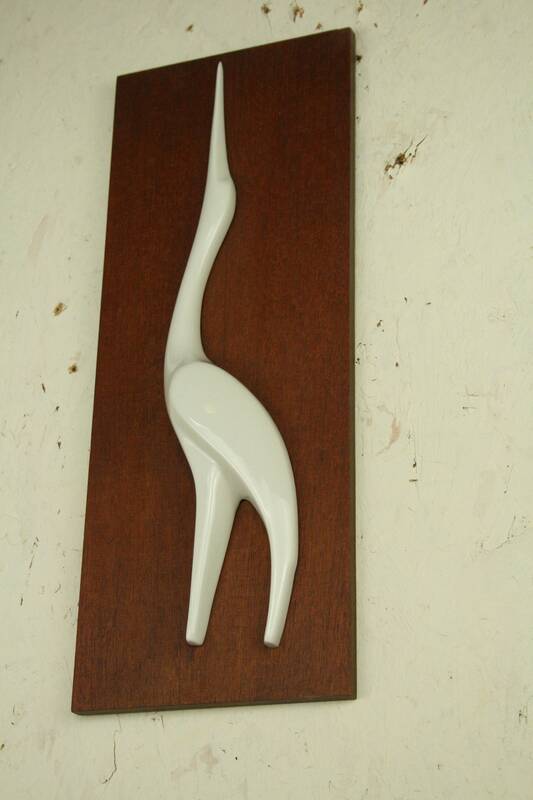 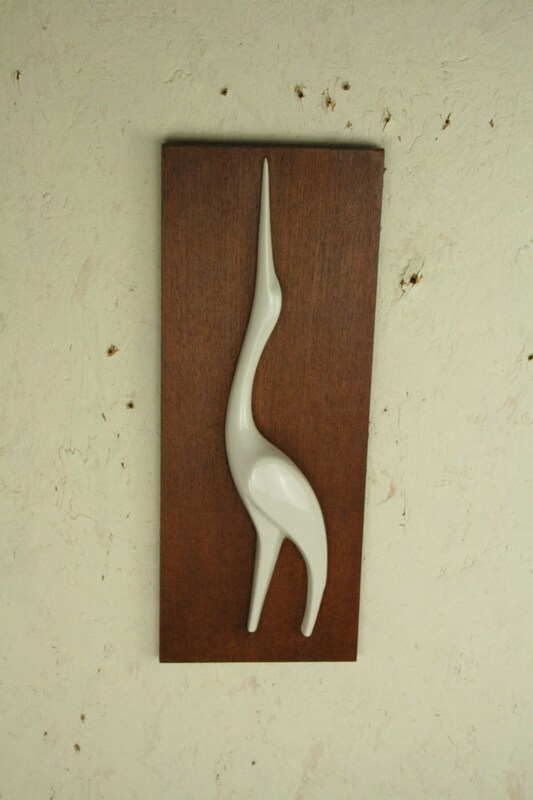 Original Sgrafo Modern white procelain Crane Stork or heron On a bit of teak. 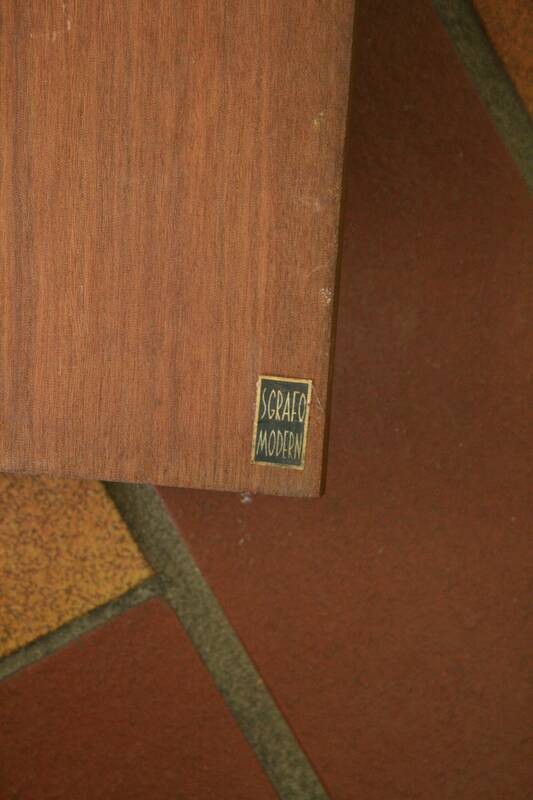 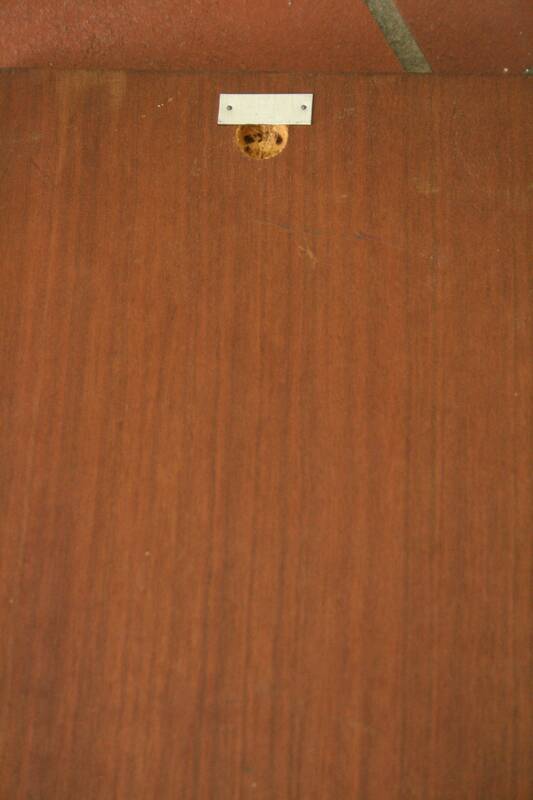 Top right hand corner of the wood has at some point had a repair not by me/us . 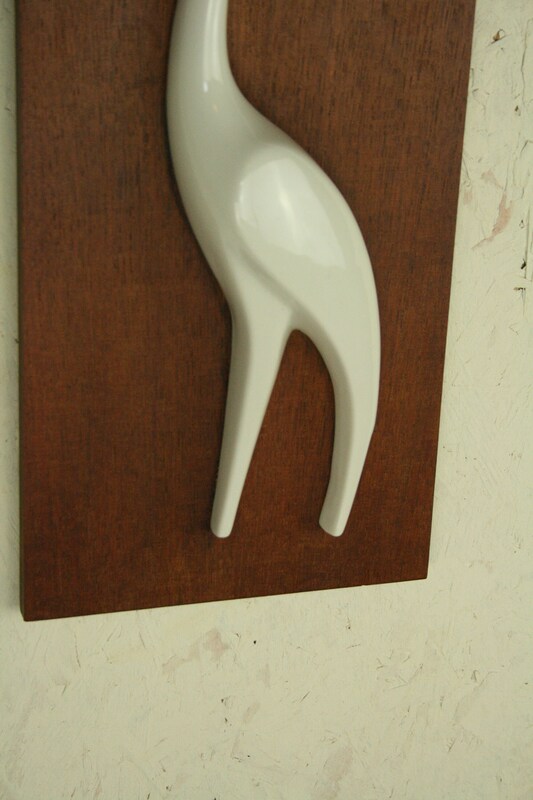 Ceramic is Top with no chips or cracks .. 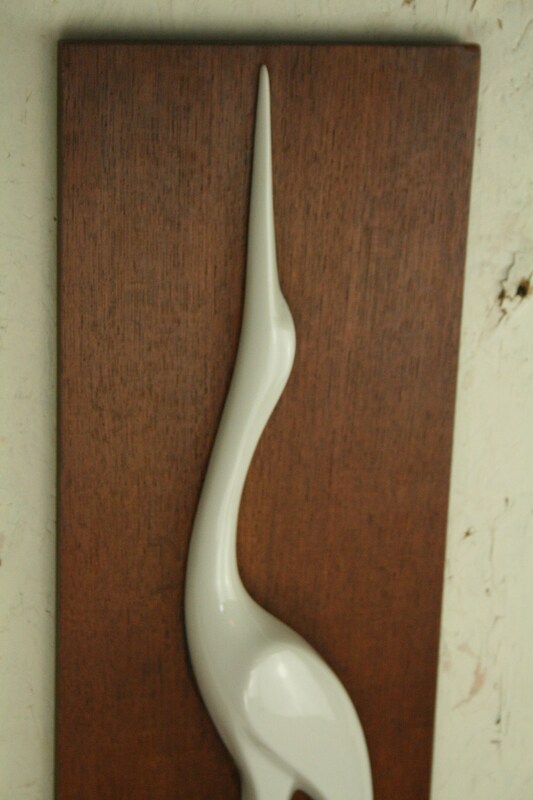 Measures 16 cm wide x 41.5 cm ..